The new basketball league in Japan, the B.League, will start very soon, and the Golden Kings will match up with the basketball team of the George Washington University this weekend in a pre-season warm-up match in their hometown Okinawa City. It marks the first official match for the Kings this season, and also is the first game for the squad as a new team. The Kings signed five new members for this season. 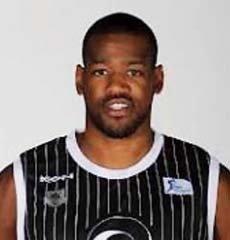 Lamont Hamilton is a 32-year-old forward player from New York who will play for the Kings under number 34. He graduated from St. Jones University in 2007 has since played in Spain, France, Russia and Turkey. A Kings’ official says his long reach and 208cm frame could make dynamic work, and as he shoots well both from in and outside, he could be a pillar player for the team this season. 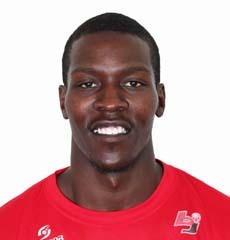 Mo Charlo, who will play with number 22, is a 33-year-old forward from California. 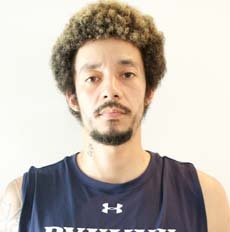 He graduated from Nevada University in 2006, and has played in a few American D league teams, in Belgium, Uruguay and Philippines, and also with Hamamatsu Higashimikawa Phenix in the old bj-Legue. Kazuya Hatano who will carry number 10 was born in Brazil but is now a Japanese national. He’s a forward player, 34 years old and played with Osaka Evessa as a member of their three consecutive championship teams from 2005 through 2008. After that he played with various teams in the bj-League. 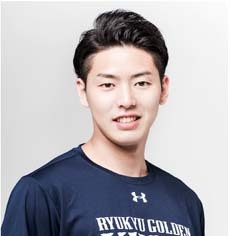 The fourth new player, Naoki Tashiro, #24, is a 23-year-old from Chiba Prefecture, who was signed to the team roster on June 28th. Tashiro is 190 cm tall, weighs 90 kg and will play as a forward. 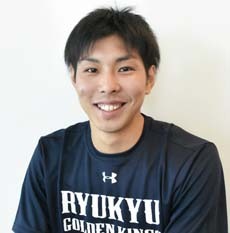 A team official says Tashiro is a good scorer who can shoot both from the middle and 3-point shots in various styles. “When he was in his university team, he was a key player in the team ever since he was an underclassman, and had a great success in the Kanto University League as a top class scorer. His body is strong enough against professional players, and he has a great character. We look forward to him becoming one of the main players in the team very soon,” the official stated. Finally, #16, Ryunosuke Watanabe is a 21-year-old guard player who is still an active student at Senshu University in Tokyo. He’s from Ginowan City on Okinawa. Watanabe does not yet have an official contract but is playing under a new trial system of the league called a “Special Designated Player,” which allows a player who is under 22 years old to play as a member of a B.League team only for three months of the season.